Take Angus, Harry Reed, Tettey, Leitner, Nelson, Wes and Maddison out of this squad and what have you got? I used to drink in, and briefly worked in, one of the best-known pubs in Broadland. As you entered the establishment the first thing you saw on the wall was a massive, framed illustration of two early Victorian railway engineers staring up at a broken aqueduct with the equivalent of Puffing Billy falling through the shattered track into the river below from a great height. The caption underneath the image simply read: Oh Sh*t.
Now I’m not sure I’ve got the next part of this article spot on in terms of detail as I don’t do the Twitter stuff that most of our readers indulge in, but I believe I heard an excerpt of an interview with our very own Stuart Webber on Radio Norfolk that basically suggested those who found the 0-0 against Bolton boring should go and watch another team. Great stuff from a respectfully quiet fan of dirty Leeds, as I understand him to be. The interview was apparently recorded before we capitulated 4-1 to Holloway’s QPR. I heard it at around 1745. Or at least I think I did as the state of post-result shock was still rattling around the old skull cavity. I still have patience Stuart, but one Canary Caller (Rob Butler was at his most polite and allowed all the contributors to speak) suggested that eight games is all Daniel Farke should have next season. A bit like when David Bowie told us we’ve got Five Years, but I’m now struggling with the concept of whose vision was more realistic. I did not expect that 4-1 reverse, I really didn’t. Local radio is not my favourite medium for following a match, although I realise those guys do their best. Listening was painful, so very painful. We have 52 points on April 3. Enough to guarantee safety (in the Championship) this time around. But I’m already fearful for next season, as were quite a few Canary Callers. That’s a frightening concept whatever your standpoint. My broken record time again: subtract Angus, Harry Reed, Alex Tettey Moritz Leitner, Nelson, Wes and a rapidly and understandably running-out-of-gas James Maddison and where are we? We might get a Grant Hanley or a Christoph Zimmermann. We might get a Marcel Franke, Dennis Srbeny or a few more kids from non-league that will never, ever appear in the first team. They all seem to fade away as in Power, Abrahams, Fonkeu and the new guy from Dagenham & Redbridge. Fade away is unkind. They have never featured. And before anyone gets on my back to berate me for failing to mention they are all under-23 signings that is by definition a pit it appears impossible to escape from. Nobody but nobody emerges from there. That is no way to recruit for a promotion push. Sorry, Mr Webber but it simply isn’t. The post-Hogarthian image on the wall of the Salhouse Lodge was there to make a point: the Victorian investors who drove the expansion of the railways did it to make themselves money. Their engineers often stuffed up and didn’t care how many human lives were lost in the building process. Think about the origin of the word navvy and you won’t be far away. Canals and train tracks often ran in tandem. The caption “Oh sh*t” I believe was the work of landlord Tommy or his successor Andy. Whichever of them it was, they had the right idea. Having listened to Weber’s interview twice I think the spin put on it in this article is wrong. He was specifically referring to the quality of football in the game against Bolton and being able to appreciate a 0-0 draw. Not wise words but not what is suggested here.. Some will read this article and it will help to drive a wedge between supporters and management. As far as I am aware decisions about players leaving have not been made. So here we have a definitive list of those going. Needless to say the worst possible picture is painted. The same when referring to buying from German lower leagues without of course mentioning Zimmerman, Trybull or Hernandez and Vrancic. An unfortunately very unbalanced article. I did say in the article that I didn’t quite catch the full context of the Webber quotes but I certainly heard the part about “go elsewhere” and that’s not what I want to hear from our otherwise excellent Sporting Director. I don’t think what I wrote is unbalanced and for what it’s worth I said that for every Hanley and ZIMMERMANN there will be a Srbeny and a Franke. Neither did I submit a definitive list of players leaving. I just posed the question: where would we be without them? While I personally reckon none of them will be here next season I hardly know that for sure, now do I? I’m not trying to drive a wedge anywhere. I back the management (admittedly not the Board) as my previous scribbles will show. I just thought it was atypical of SW to say something like that and maybe hearing it on the end of a 4-1 defeat made it seem worse than it was! Webber’s words were still unacceptable and unprofessional. It is gross misconduct. If he were working for me, he would be sacked without question. I suspect there will be an apology of some sort by the end of today or tomorrow at the latest. With Webber too embroiled in the whole mirage of the ‘transition’ period and his wife working for NCFC, I cannot see him being given his P45, but Delia will not be pleased with his comments. I actually couldn’t believe what I heard because SW is so professional and has always come across as a top bloke, which made it all the more disappointing. I disagree that he should be dismissed – heaven help us if that happened – but I was left feeling as deflated with his comments as I was with the performance. I’m sure Radio Norfolk knew what they were doing when they repeated it – I missed the earlier version! If Delia has given Webber too much rope – as she did with McNally – then a similar ending could apply. Unlike Radio Norfolk, there is a not a mention of Webber’s comments on the EDP site, which one would say is big news at a local level. Make of that what you will…. And the second album was called Give ‘Em Enough Rope. IMHO BBC Radio Nofolk haven’t helped matters by cutting off the question, which could certainly add more context. However, the gist is this – Webber thinks that folks shouldn’t complain about the entertainment value of a 0-0 with Bolton. Suggesting that’s the style we’re moving towards. So “go watch another team” if you didn’t like what you saw. 1) Pointing at a small handful of games, including half a game where we didn’t score, and saying that’s the destination, or progress, is missing the point – largely this season we’ve been ponderous, toothless, and boring. The odd inspired attacking performance is the exception, the rule is the opposite. 2) No CEO should ever utter the words “go watch another team”. It’s just bad PR and, quite frankly, stupid. Even if the fans are wrong, just don’t do it. 3) He pointed at two different 2-0 losses as examples of progress. He even used a ‘what if” situation where we win at Fulham and everyone’s opinion is different. When you have to start inventing wins to make a point then you know you’re on shaky ground. Too many excuses, not enough progress and the game yesterday was a shocker. 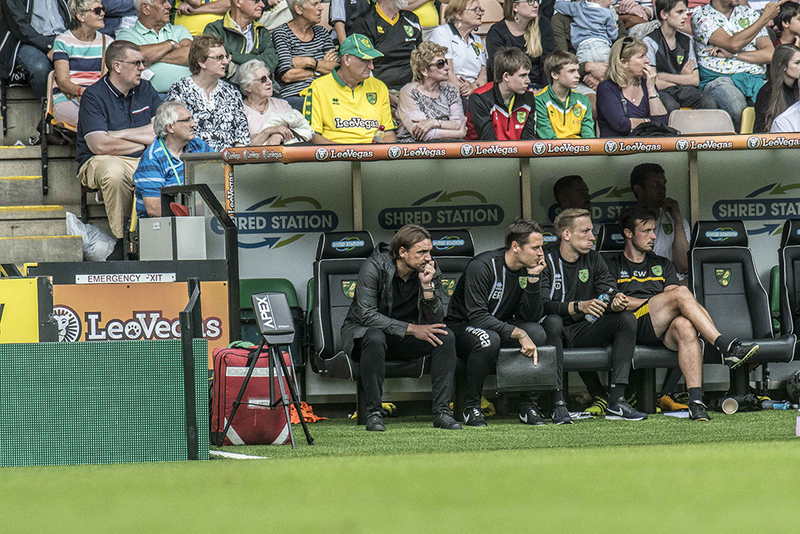 From the tactics, to the performances, to Farke sat helpless on the bench. I’m not sure why people think we will suddenly show vast improvement next year. We haven’t shown much improvement this season. I doubt there will be any improvement at all next season. Your point at 2: is on the money. Unfortunately the Cult of somebody has too many followers by far for us ever to progress. When you attend a game, just for once ignore your mates for a while and let your eyes cast themselves further. Most of the people in the ground are too old to care or maybe even understand what goes down.. Sorry if that sounds vicious but you won’t get a Board-challenging attitude from a bunch of pensioners who are happy to drink their flask of coffee from an expensive, temporarily rented plastic seat. And that is what our fanbase has become. Some commentators believe in Webber’s ability to simply just recruit successful replacements for those players leaving this summer. But he has signed plenty of duds too. Replacing proven talent with potential is bound to lead to a weakened squad..
Webber does seem rather sensitive to criticism. The self-funding model cannot afford to allow attendances to dwindle away. The Club should not take fan’s loyalty or season ticket renewals for granted. I presume Webber has been emboldened by raising £5m so easily for the Academy. I doubt he will still be around when the Club face the problem of having to pay it back to the donors. The self-funding issue is the divisive entity, not articles in the media. Well Martin, I opted not to listen to any of the match yesterday, or Canary Call that followed and for that, I’ll be eternally grateful. I felt we gave quite a good account of ourselves on Friday and but for the usual poor finishing/final decision by Josh, the result could have been SO different, so to see this abhorrence of a score line on my mobile left me utterly speechless and I feel really sorry for the Canaries fans who made the trip to Loftus Road to endure that capitulation by our team!! All I can say is that DF has but a few days to instil some belief in our players and pick a starting 11 who can as a MINIMUM restore a pride in the thousands (probably several thousand fewer next season!!!) who turn out for every home game. I have a ticket for Saturday’s game and that could be my last home game this season unless I witness a VASTLY improved performance. As you point out with the title of this article, we could see a VERY different squad next season and whilst SW/DF are on record as saying they favour a ‘youth policy’, I and I’m certain the majority of NCFC fans are waiting to see evidence of it, other than Lewis. DF must bring back some of our loanees, especially Godfrey, Cantwell and Morris and incorporate them into the first team squad – we also have Trybull and Thompson to return from injury; so we can still have a decent squad at DF’s disposal, but he should be given NO longer than Xmas to demonstrate that he can turn things around and get us scoring more goals whilst conceding fewer!!! I’m not actually snapping at Farke but next season will indeed be make or break for him. I’m happy to give him more time but I feel next season will be even more problematical than this. A crystal ball and some tealeaves would come in handy! Webber’s comments may well have been taken out of context but he did demonstrate a stubborn insistence that he had it right – ‘my way or the highway’ in effect. I have always been a bit concerned about his track record. Premier league bound Huddersfield seemed to make no effort to keep him. Why not? Look at his earlier career and there is every indication that he didn’t pull up trees in his short stays anywhere. So what has Delia been convinced to but into? A guy who his obcessed with the only bit of luck he has had in dipping into Germany and producing the guy at Huddersfield. Now, he is allowed to go shopping in the German lower leagues because it’s cheap. What do we get for our money – mostly failed German footballers who may well get into training when it snows but who are dreadfully injury prone. How are we to maintain ourselveles as a Championship side whe.n they are in for a week then out for four or five. I’ve been watching since 1960 and, try as i may,, I can’t remember a season about to happen where we are sleepwalking into disaster with a manager out of his depth, totally reliant on his sports scientists to give him the stats to trot out along with a catchphrase (‘yah for sure 1%’) post match. 26,000 people at every home game can see that you can’t play tippy tappy football between the seven players around the edge of your own area and expect to be able to break QUICKLY and score goals. It’s been this way all season. A proper manager would have sorted it out Monday to Friday and it wouldn’t happen twice, let alone all season. Maybe “sleepwalking into disaster” is a bit strong but I’m as worried as you are. And as for the ability to train in the snow, I would bet the very Scottish Grant Hanley would keep up with the rest of them! With 13 goals conceded in the last 5 games it is getting increasingly difficult to defend the notion that progress is being made. As many have observed we perhaps have not yet fielded a balanced side yet this season. 3 at the back and we carry no threat, only 2 and Gunn gets hopelessly exposed. Farke and co find them selves in an unenviable position, with no chance of either promotion or relegation motivating a side becomes difficult. Evidently too difficult because right now they are failing horribly to do so. Some of us before the 1 win in 10 were having seemingly fanciful thoughts about gatecrashing the playoffs, a look back then saw us 5 points above Millwall and look at both now. This season has been a missed opportunity. Farke has so often looked out of his depth be that because of the league position, the lack of goals or the way we still crumble each time we play with 2 centre backs or without Tettey. He was in short a terrible appointment for the short term. Next term we will see how he copes in the mid term. I fear not too well, as you say Martin it seems highly probable he will be ham strung by outgoing quality. But I don’t think he’s up to it either. That’s not to say I want him sacked, we have set out on this path and he should start next season, but with an increasingly tailored squad (apparently with recruitment based on players charactor, I find that judgment of charactors rather worrying in the current form and malais) Fare really should be given a go, but his position will become untenable very quickly if; the football continues to be ponderous and yield few goals, our home form remains diabolical and there is little evidence that this season’s lessons have not yielded significant improvements. To Mr Webber, I might not go support someone else but be careful what you wish for, it seems to me that after recent often dire football there is a growing discontent and in fact many fans might just be pushed off by football far too poor to justify some of the highest prices in the division. Offer any fans hope or at least entertainment and they will come. I still have a shred of hope for next season, it could be extinguished by the business done in the summer transfer window though. I still have a nagging sense of what if? What If we had gone for Irvine? What if we had hired an experienced manager? Short term fixes? I don’t know maybe we are on the right path, the path just seems boggy and lost at the moment. Season can’t finish quick enough for all concerned in my book. Let’s hope for that positive start next season, because the knives are already being sharpened. The point about Irvine is indeed an interesting one. I guess Delia would have been accused of cheapskating and the man himself didn’t appear too interested. Maybe downsizing wasn’t his thing. But the players loved the freedom he so obviously gave them to express themselves. I absolutely agree with your take on SW’s comments. I was as surprised as I was disappointed. I am with Richard. Indeed I believe the Webber interview referred to just the First Half of the Bolton game. This piece is irresponsible pot stirring. I’ll refer you to my response to Richard (above). I would add that writing about my reaction to something I hear on the radio is hardly irresponsible. I even put it in the context of how and when I heard it. As for the pot-stirring part: no mate. I have always backed Farke and Webber – check out my previous stuff. I freely admit to often criticising the Board but not the football management. If my objective was to stir the pot Editor Gary would not have me on the MFW team. Remember that Tettey twice said he wanted to leave – he’s never ‘up for it’ when the going gets tough. Good riddance. Nelson, Leitner and Maddison aren’t battlers either. Reed tries but he can’t get across the ground quick enough to be effective. Wes is past his prime and easy to play against over 90 mins (twice we have conceded 4 goals when he has started). Gunn has been really good but I’m sure there is a plan in place. I consider this season to be one in which we’ve highlighted and increased the value of an asset (JMad) and will generate a, hopefully, large windfall as a result. People complain about the slow build up but Maddison is one of the chief reasons for that with his customary 5 touches! So much seems to have to go through him. Vrancic creates some great chances with EARLY through-balls and chips over the top. Get Tettey, Wes, Naismith, Wildshut and Martin off the wage bill and I can certainly see some light. I think we desperately need an experienced midfield enforcer, quick striker and two new full backs. Lewis is looking a little bit weak now (albeit presumably down to being tired and low morale). Pinto is just hopelessly inconsistent and cannot cross to save his life – Can’t fault his passion but he’s no captain for me, because of the quantity of mistakes he makes. Full back positions should be being exploited more in this system but I can’t remember many assists from Lewis or Pinto (Husband started, played well and assisted, then got dropped next game – go figure!). However, we were clearly told that this is a transitional period and I’m happy to take it as such. We should have another busy window and somebody like McLean may already be the battle we need who will raise the morale and tempo. Sensationalist headlines don’t really help, imo, but it evidently gets a few clicks! Thanks for the comment Grant. To be fair, the ‘sensationalist’ headline was mine, not Martin’s. Just plucked out a key line from the piece. My bad. Your point about Maddison is a valid one – one of the MFW team wrote an entire article on your theme a while back. Can’t remember who but it’ll be in the archives and I think you’d enjoy reading it. As for the headline: no I didn’t write it but if I’d been faced with this article from somebody else I probably would have done, if you see what I mean! Forget, for a moment, the “go and watch someone else comment”, the most ridiculous thing about Webber’s comment was using pretty much the one half of football at home this season where we’ve played really well, against a relegation-haunted team, as an example of how great we are. A game we ultimately failed to win or score in, and a good first half that was followed by a dismal and laborious second half that has been far more typical of our performances under Farke. Ipswich fans have abandoned McCarthy’s anti-football in their droves, but they’ve scored more goals at home than we have. There is more than one way of being anti-football, and possession for possession’s sake is every bit as dull as hoofing it forward. Hopefully Farke can tweak his style to be more progressive, quicker passing, quicker transitions, more players committing to breaks etc, but I’m not holding my breath. Seeing the players messing about on their edge of their own box at 0-2 against Fulham with 10 to go suggests he is utterly wedded to one way of playing, and one way only. It is indeed dull to watch and I reckon the occasional long ball forward wouldn’t come amiss. But who to? I can’t answer that one. To me the major flaw is that we just don’t get enough bodies in the box when we do break because the pace from the supporting midfield simply isn’t there. And if we get turned over and the break reverses we are truly in trouble – which is probably why Farke says don’t do it in the first place. Farke’s style suits me when we’re grinding out a 1-0 at Bramall Lane. But when Bolton and Burton put up the shutters it’s a different matter. Matt: he didn’t “use Bolton as an example of how great we are”. He was actually acknowledging that we haven’t shown much greatness this season, but cited the first half against Bolton as a style that we’re capable of and will hopefully produce much more often in future. He thanked fans for their patience with the less attractive football they’ve had to watch at Carrow Road this year. I´ve been saying from day one, that Farke was the wrong appointment, and I´m beginning to think that the more we see and hear from Webber, that he too is a wrong one. This entire season has been wasted, with no progress being shown at all, and with the prospect of losing all our prime cherries in the summer, the future looks bleak, even with the Maddison windfall we´re likely to receive ( the bulk of that money is already lined up to help pay off the debt, anyway). Personally, it wouldn´t bother me in the slightest if they both opted to resign, and nor would it, if the Club then reverted back to the old-fashioned formula – one CEO in charge of admin, and one manager in charge of football. The future does indeed appear bleak, but as Joe Strummer so rightly said that future is unwritten. I don’t think Webber departing would do us any favours personally. I’m not calling for his head, merely registering disappointment at a statement he frankly should not have made. You are so right about the Maddison money. While it probably won’t be used to alleviate debt as such it will be kept in the locker to see us through next season. Sad, and entirely the fault of Webber & Farke’s predecessors. Stuart & Daniel are trying to pick up the pieces and build a new team & mentality. The time of quick fixes is over, and they’re the ones with a genuine 2-3 year plan to be competitive, working within our financial reality. We can all moan, but they’re trying to get on with a job. Time will tell about its success, but seems to me it’s worth our support. Fair enough Stewart. I cannot disagree with what you say. But as I’ve said previously SW & DF are in a place I would not wish to be. The “selection” concerning the mentality of our future recruits may yet prove crucial, agreed. Of course the project is worth our support – it’s just that right now it looks like a damp-winged moth trying to take off in a thunderstorm. Unusual piece by you Martin. I’ve not seen/heard the Webber interview so I can’t comment on that. However, your U23 statement seemed particularly flawed. We know that this part of the club has been under funded & mismanaged. By definition, any changes there would have minimal impact on the first team this season – those players mentioned simply weren’t acquired for that. You’ll be aware that Lewis has come through this season & the intention of the Godfrey & Cantwell loans was to ready them for next season in the first team squad. Matthews & Morris should be targeting that too. I therefore think we need to hang fire for now on judging that aspect. Yes it was a bit unusual for me – despite what the odd couple of folks suggest I DO back the football management; to the hilt. I just felt that hearing the rerun of that portion of the SW interview at that time was enough to get the old blood a-boiling. I was actually in the kitchen making beef in black bean sauce when I heard it. I forgot to stir the egg into the fried rice in shock so SW owes us a meal! Yes it’s great – genuinely – that we’re looking to the future but I see very little in the U-23s to get excited about just now. As for those out on loan that is indeed a different matter. I think we all have high hopes of Ben Godfrey: highly commended by Paul Hurst! 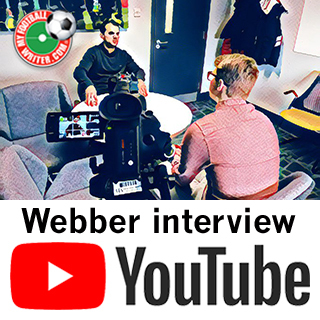 Seems as if Mr Webber’s ill worded interview has taken centre stage, I will be honest it is not what I expected or really wanted to hear, but using one half of a game, and then using Cedric Anselin, quote of that game, “Being one of the best halves of football he had seen for a while” I found to be very weak, there were other little statements in his interview that I found disconcerting. . But for me that is more than enough space given over to this rather arrogant little man. We were hammered by a bang average team. but it seems to me also that there then a few average teams above us , who play the way, Farke seems to have a problem with. I agree with you and I agree with DH6. Nobody wants to be battered by a Holloway outfit. And very few teams this season have had the yellow and green kitchen sink thrown at them. For me it was the timing of the rerun of the SW comment as much as the actuality of it. Out of the 7 mentioned in the headline I can only see Wes being here next season and that’s because he’s too old to get a move. 3 of them are on loan so their futures are out of our hands, Tettey and Nelson have demonstrated in word and/or deed that they don’t want to be with us much longer and Maddison is simply too good for us. When the team was published at 2.00 yesterday I knew we would get stuffed. I don’t think that team would beat anyone in the division, being totally devoid of any physical presence in midfield. As Hucks says, QPR are bang average but they are managed by a bloke who, at the very least, will always try to put out teams that get ‘stuck in’. The fact that there wasn’t anything to get stuck into made their game plan so much easier to implement. I am worried about next season. I can’t see where the progress is. I’m glad we have got rid of some of the expensive dead wood but we haven’t replaced them with much in the way of quality. If you take away Maddison’s contribution to this team I believe we would be in a relegation battle. I hope we can write this season off as one where DF was educated in the way of Championship football. He simply has to show that the lessons have been learned from the very start of next season. How we shape up at the start of 2018-19 will be very interesting. If the comments came from Moxey, if the signings this year were under Moxey, and if the performances and results were under Moxey, I can imagine uproar. David, there’s been a fair bit of uproar, believe me. But would I have Webber over Moxey? You bet your sweet bippy I would. It’s important that everyone is clear about the context of Stuart Webber’s comment. He was acknowledging that we’ve been tough to watch at times this season, but singled out the first half against Bolton as an exception: despite the scoreline, it was good, attacking football. Anyone who was there would surely agree. He said that anyone who didn’t like that brand of attacking football should perhaps go elsewhere. It was a clumsy phrase that I wish he hadn’t used. But would we rather have a bland and inane Jez Moxey, or someone who’s open, informative and occasionally too sharp? The misrepresentation of that comment on social media last night was so extreme that I wondered if it was produced by an Ipswich fan trying to stir discontent. If it was one of our own, it’s sad. Just a quick thought on the article (well written as always, Martin). This summer’s window will be the first available to Stuart Webber in the way he likes, ie with months to prepare. Even before such a window, he’s brought us Zimmermann, Trybull, Hanley, Hernandez, Vrancic (who’s become much more effective as he adjusts to the league) and other first-teamers at remarkably little cost. Gunn and Reed have been excellent loan signings, exactly in keeping with those he produced for Huddersfield and we can expect him to produce again for us. This summer will require some fancy footwork in the transfer market, but I’m looking forward to seeing what he comes up with. Excellent comment. I am worried not by the sterile and sometimes weak football but by the excessive angst and anger from the majority of commentators on this board. It is natural to be peed off at a sad loss but the vitriol should be put back in the bottle. Does anyone consider the bigger picture? If not the long term just look at the injury list! While I agree some people did not quote MW correctly, I heard what he said and that cannot be defended in my view. Plus his tone was not correct either, maybe born from frustration. We are all frustrated, but fans should not expect to have terse comments made against them, especially after the Bond Scheme. It was out of order. I’m in business and the Customer is King. We wouldn’t be where we are without them. Webber’s comments would be a sackable offence and I personally want him gone. However, I do not expect Delia to give him his cards, but an apology is the very least he can do and I would expect it as a matter of course. Thanks for balancing an article I quickly fired off in anger and frustration Stewart. However as I have said quite a few times now on MFW I rate SW highly enough to say that if he leaves we will be stuffed. I’m not on a mission to denigrate him. Far from it. Should he go the future looks rather grim. I’m only criticising him for one comment and didn’t really expect the reaction to this piece. He is vital to our medium-term future. But as our very own Gary Gowers said recently: how tightly are his hands tied? Absolutely. And we’ll do it without descent into name-calling. May need a panel to decide the winner…. Good comments all but at the end of the day this team of players are better than 14th in the league. The problem is that they are poorly managed. Tactics are poor and substitute usage is woeful. The plan is a good one but execution of the plan is poor. I don’t often agree with comments made on radio Norfolk phone ins but agreed wholeheartedly with the caller who gave Farke 8 games of next season to prove himself worthy of the job. If not then replace him with a young British coach inside the current system. Thank you Cyprus – good observations. I swear that is only the second Canary Call I have listened to all season. If I hear another one I promise not to write about it. After the best part of a season developing the new plan we are, after QPR, back where we started at Millwall. Surely if the Webberlution was working we would have seen some discernible progress. The last quarter of the previous season under Irving was far better than the far too slow and dull possession football we’ve seen this campaign. I don’t blame Farke or Webber as they are trying to achieve the impossible under owners who can no longer afford to maintain a championship club. We should in the long term interest of the club follow Webber’s advice and go elsewhere until the owners see sense. If you support Webber then maybe Martin it would be fair to him to listen fully to the interview before commenting on it. It has been widely misquoted ..Simply acknowledging you hadn’t listened to it properly is no justification. Depends how much time you’ve got. really. I’m always too much otherwise occupied to replay radio interviews. Dogs to walk, cars to drive, food to cook, that kind of stuff. That’s what you do when you’re early retired, of course. I know what I heard, how it sounded and what I felt like after listening to it. I explained the context in which I heard it in the original article and then responded to you promptly, politely and appropriately. .
My next article on MFW will be our Aston Villa preview. Feel free to comment after you’ve read it..
We live in an age of soundbites and lines such as Mr Webber’s are going to be leapt upon. He should know this anyway, but he’s paid (very highly) to be both professional and think before he ever opens his mouth on local radio. Forget “context”, it was a demonstration of a lack of professionalism right down there with “I don’t remember your tenure as England manager”. It’s noticeable that he wasn’t peddling this line ahead of any season-ticket or Canaries Bond deadlines when it might have had a detrimental commercial impact on the football club. It was also a stupid comment to make on the back of a first half in which – for all the good and attacking football – yet again we failed to score and this during a season in which our home form is set to be among the worst since the war. I, like others – although no-one knows how many others as the club hasn’t released any figures (funny that!) – have renewed for 2018/19, although if the end-product is still as bad as this at the end of next January, that’ll be that. But anyway, Martin, you talk a lot of sense in a time of frankly misplaced optimism, so please keep it up. And remember this everyone – the last time parachute payments dried up we were relegated to League One just two years later. While a repeat in 2020 is unlikely, at the moment you couldn’t completely rule one out. We try to present a balance here on MFW – I’m sure our very own Stewart Lewis would agree that he is on one end of an obvious divide while I am on the other. Sometimes we meet somewhere near the middle. But we both enjoy writing for the site and it’s one of the very few places where all opinions are truly welcome. 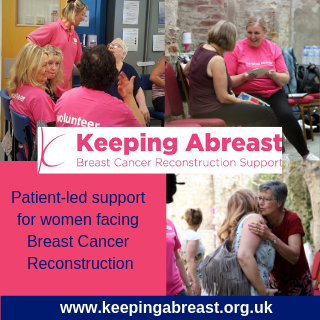 Please contribute again – a great post. Interesting that a few words within an eight minute interview should generate so many comments, but, hey, never mind about the bigger picture.